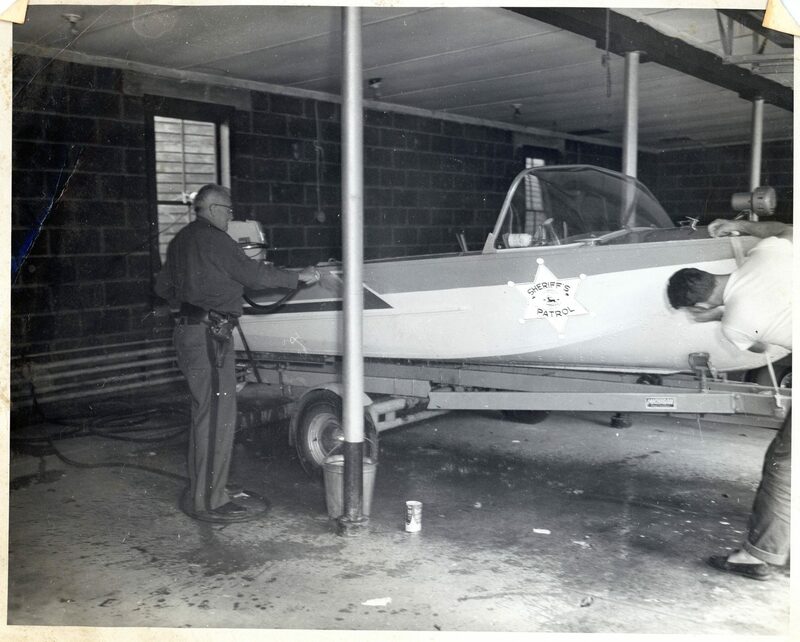 The first water patrol boat in St. Lawrence County, pictured at the county sheriff’s department. Circa 1960. Canton, NY. Photo courtesy of the Colton Library.